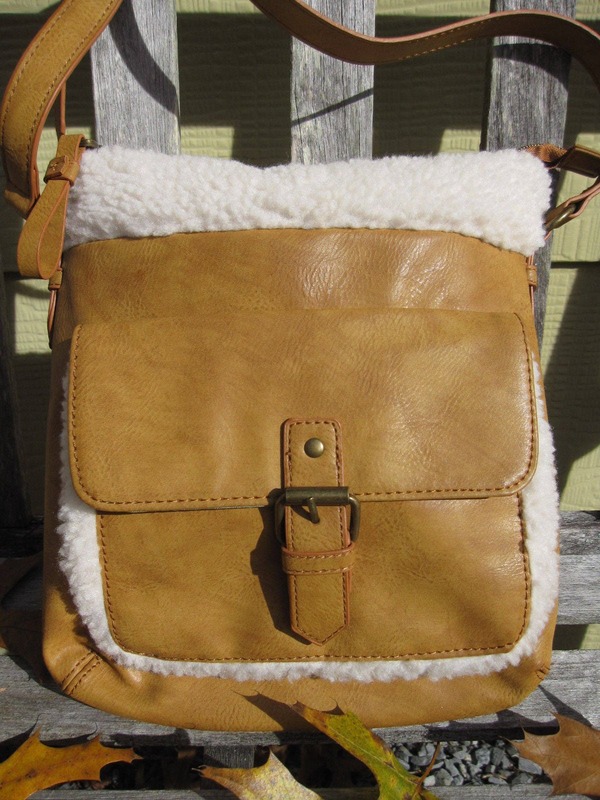 CROWN VINTAGE brand faux shearling crossbody bag. 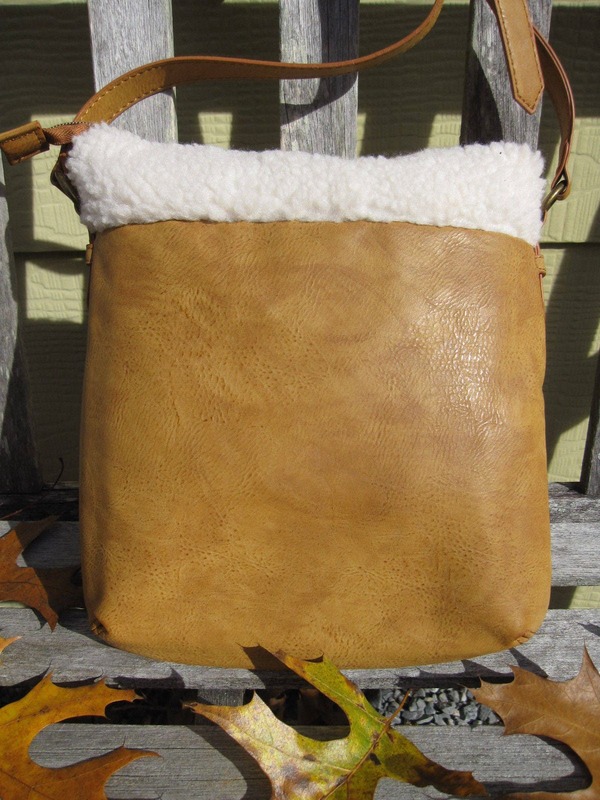 Golden/tan tone faux leather body with cream colored faux shearling trim – bag can be adjusted to show more or less of the shearling trim at the top. [Top band of shearling folds in to minimize the top band look]. Antiqued brass hardware. 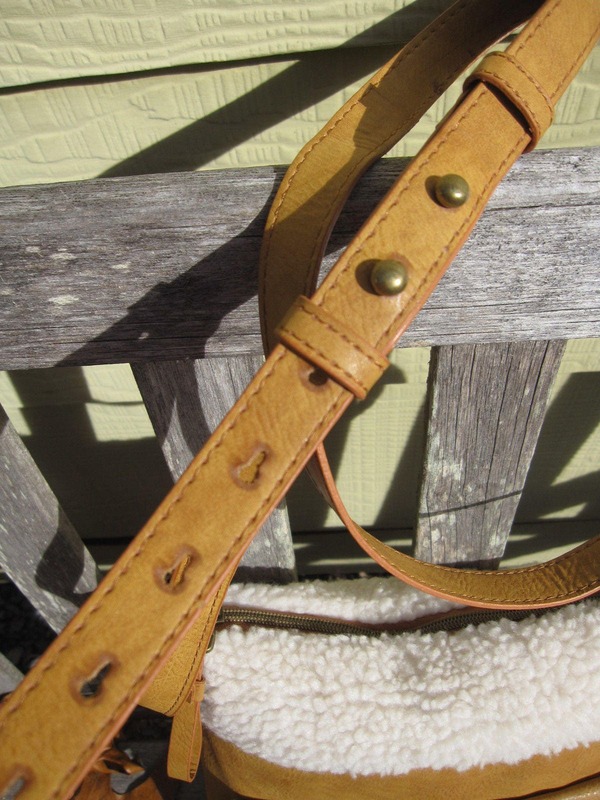 Distinctive crossbody strap with push-thru knob adjustment. Magnetic flap front pocket. Sage green polyester lining. Plastic zipper closure. Interior zipper pocket. 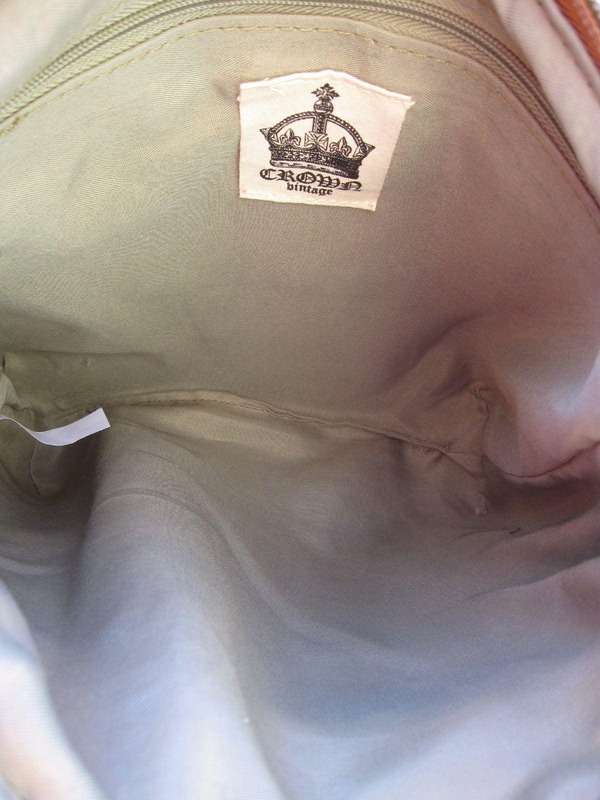 Sewn-in logo label, "Crown Vintage." Great shape! Dimensions: 10 inches long x 11 inches tall x 2 inches deep with adjustable 48 inch strap.